Rail trails are taking off in Australia. It’s a concept that’s been working well in other countries, and Australia’s now joining in. The reason for the name ‘rail trail’ is because the trails are recycled railway corridors. When a rail line closes down, the track and surrounding cleared area are left where they stand. Often the tracks cut through uncluttered bushland, amazing scenery and spectacular, had-to-access places far from the nearest city or highway. And because trains don’t handle big hills and rough terrain too well, the abandoned trails are premium for mountainbiking, hiking and horse riding. Victoria probably leads Australia’s count of rail trails. 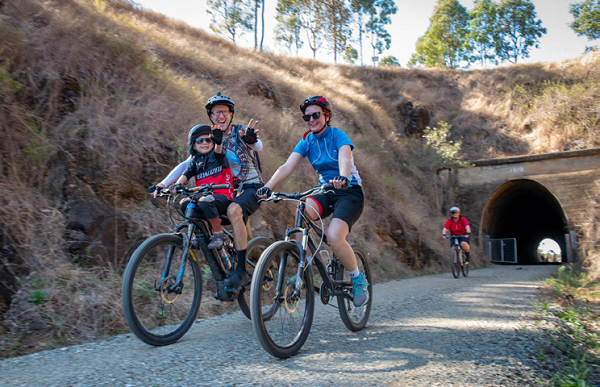 With the advantage of the Gippsland and high-country regions, alongside an early government acceptance of the concept, Vicco has more the 25 sanctioned rail trails crossing back and forth through some world-class terrain. NSW is lagging behind a bit and is still trying to get some momentum for the idea. There are trails in the Blue Mountains and Newcastle, but they’re short, and for hikers only. Queensland, on the other hand, has a cracker: the Brisbane Valley Rail Trail, also known as the BVRT. The BVRT shines for a couple of reasons. One big thing in its favour is its length. At 161km it’s Australia’s longest rail trail. There’s plenty of distance to cover, and it’s almost traffic-free except for crossing the occasional road. That situation suits cyclists, hikers and horse riders a whole lot. But it also offers several challenges for those who are so inclined. Anyone wanting to belt through 161km of trail in a single day can line up and go for it. 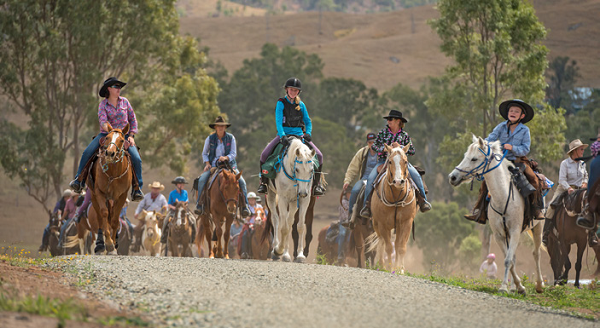 For those not so demented, there are communities dotted at short intervals along the length of the trail, running from Wulkuraka near Ipswich north to Yarraman, and they’re all going out of their way to make users of the trail welcome. The other interesting thing about the BVRT is, although it’s managed by Queensland’s Department Of Transport And Main Roads, there’s been a very active lobby group involved in the trail’s development. The two groups have come up with a great result. Paul Heymans, who lives just a stone’s throw from Wivenhoe Dam in south-east Queensland, therefore close to the southern end of the BVRT, is the President of the Brisbane Valley Rail Trail Users Association, and he has a good grasp on the features and appeal of the trail. One of the great things about the BVRT is the variation in terrain. The newest section is what Peter calls ‘deluxe’, and it has a fairly smooth surface, but some of the older sections are little rougher, and there’s even a few shallow creek crossings to keep the spirit of adventure alive. 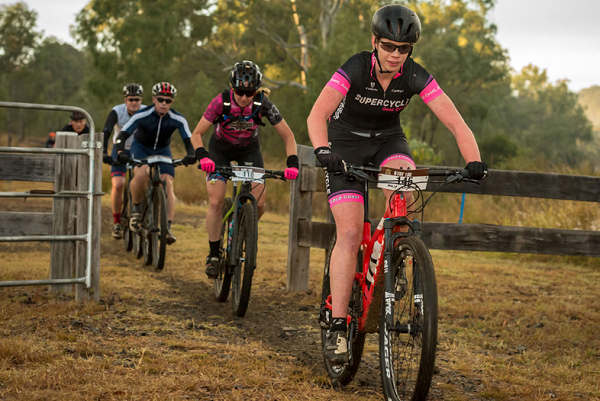 The BVRT is open to anyone with the correct protective gear for their chosen mode of transport, but for the mountainbikers who feel a little feisty there are a few challenge events. Paul Heymans explains… “We run some big events. “We advertised a ride on the Australia Day Weekend. It was a free ride where we were paying all the transport costs, and we had 100 places available. It booked out in 22 hours, two months before the event. The variation in ages and abilities of BVRT users is big as well, everything from family groups with young kids to national cycling champions. All are welcome. For those who might want to enjoy a large section, or all of, the trail and who are worried about being able to return to their car, an outfit called Out There Cycling has a shuttle service that allows riders to chuck the pushie on a trailer and jump on a bus back to their starting point. Or, if you have a bunch of mates, you can organise one of the buses, a 10-seater or a 22-seater, to look after your group specifically. department, but things are looking up. 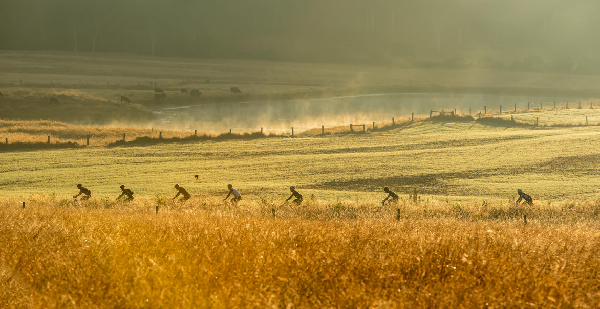 A proposed Northern Rivers Rail Trail is well under way, and 132km of premium trail running from Casino to Murwillumbah in the State’s north is marked for the route. At this stage it’s all still in planning, but it’s gaining momentum fast. Development of the Northern Rivers Rail Trail is being managed by Northern Rivers Rail Trail Incorporated, which includes community members, businesses and the three councils. 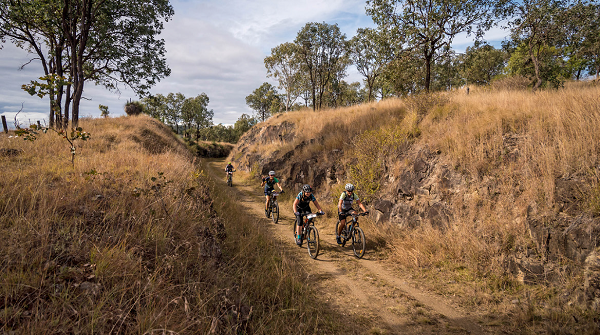 The Tweed Valley Council has been up to Queensland to check out the BVRT and get a few ideas, and it looks as though the $30 million or so needed to complete the run has been made available. Could there be a rail-trail State Of Origin challenge in the future?